I once wrote out Milhaud's and Martinu's work lists to try to make some sense. I was sure the Van/Dun were gonna be chirping lovely songs about the symphonies, but no? Only one mention of the great Plasson/DG recordings of 1-2/6-7. I can see if you have the entire Francis box you might not be able to get a handle, but as packaged by DG, these syms (along with 4/8 on Erato), to me, sound like the greatest 1940s type symphonies. No, at the moment I can't tell them apart (4/8 is another story), but they all have that laid back French country sound...I mean, who else Frenchy was writing syms. (now I've done it!)? Maybe I just like it cause it's on DG . Sym.3 has the vocals (death for me), Sym.5 is like 8min. long, and Sym.10 was the last one anybody had anything good to say about. So I think the 2 DGs and the Erato would be the place to go. come on, symphony guys...give 1-2,6-7 another spin (preferrably on a sunny/rainy afternoon)...but 4/8 are really quite rollicking. These syms are all amoungst my favs (20th cent.). Just appealing, I think. I've had my fair share of wayward Milhaud discs, including the Vox 2cd that had a welter (!) plethora (stop) of interesting quirky and sometimes annoying pieces. Most of the annoying stuff is either early or late (that's why I think the syms.,squarely in the middle, benefit). But there's a lot of annoying Milhaud out there for me, too. However, along with the syms. discs I mentioned, the Erato piano concerto disc (2/4+) w/Claude Hellfter? is music I've really enjoyed, especially the big cto. No.4. Glittering, happy, and gay. Besides the 17 SQs, which I would like to address seperately, Milhaud's chamber music is a throw up your hands in defeat affair. I had his complete viola music cd, and there wasn't anything "wrong" with it, but...same for violin sonata No.2. And the wind music and wind sonatas don't make me forget Poulenc. But the one standout is an early sonata for piano and winds (that ole london cd of french chamber music) that has the languid sound I was searching for in Milhaud. Cello sonata (1958) and piano trio (1971?) show that his amicable style stayed with him. I'm looking over his work list now. Half of it is songs and trifles, and when you whittle down the "obvious" discards, things get a "little" more manageable. Yea, there doesn't seem to be anything else that make me drool, so I'm going to considered myself sated. BUTTT.....Milhaud is one of my fav composers for the above works mentioned, and the box of 17 SQs (Parisii). I'll append another post for them, but as a cycle I find a lot more variety than say Villa-Lobos or Rosenberg. You can dip into different decades and really see growth..and yes, there is a "late period". I can only echo what I wrote back in April of last year. I am more of a 'Scandinavian/Germanic' man myself with regard to musical taste. French music has less general appeal and those French symphonies or other orchestral works which attract me are those which are most influenced by central European composers(like d'Indy or Magnard or Tournemire) or are imbued with a rich exoticism(like Koechlin or Schmitt). The easy-going Milhaud idiom is pleasant enough but there is an ultimate lack of distinction or of development in Milhaud's music....for me. I have a lot of Milhaud in my collection-both Plasson on DG and Francis on CPO-and I can listen with pleasure to the symphonies but I find the concertos tedious, to be honest. 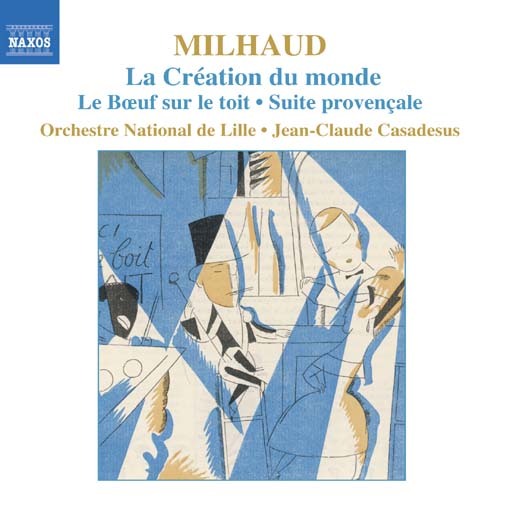 Milhaud just seems to be eitjher chattering away with his mixture of Brazilian or jazzy dance rhythms or meandering languidly through a sun-kissed Provencal landscape that sends me to sleep. More variety than Villa-Lobos or Rosenberg? Well I would put Villa-Lobos in much the same category as Milhaud actually. Rosenberg....oh no! Much more to my taste anyway but given that we don't have recordings of three out of his eight symphonies(Nos. 1, 7 or and only an ancient recording of No.5 I really don't think that it is fair to come to such a conclusion. I heard a lovely wind quintet by Milhaud with some delicious harmonies at a recent local concert: La Cheminée du roi René. We played a Suite of some stripe in high school band . . . left me cold. I want to like the symphonies more than it seems I do . . . . The stuff I like by him I like. The stuff I don't like I don't like. But, amoungst other stuff, I just recently piggy backed his Percussion/Marimba Concerto (from the '50s, I think) on a Markus Leoson recital, and, this piece is quite superbly joyous in that ingratiatingly Milhaudian manner. I can't remember if this was on that VoxBox (anyone? ),...which, btw, is a hoot (one of the Concertos is a hot mess as I recall). The newbie should always be careful wenst picking their first Milhaud! Kinda trippy in a cool way, no? La création du monde, ballet for orchestra, Op. 81 might be his masterwork imo. Conducted by Charles Munch / Boston Symphony Orchestra on RCA is a sturdy performance of the work. Sassy brassy and bold, avant-garde twists and turns. I like it when tradition is turned inside out by those who know their history well enough to pull it off. So, I trudged through the Milhaud Thread at Amazon. The Marimba/Vibraphone Concerto (late '40s) is not the same as the Percussion Concerto ('20s), which is probably a good thing. The VoxBox has the Viola, Percussion, 2Piano (or is it PC No.1? ), and various Cello Concertos, along with other stuff. The first two I recall as noisy 1920s. After page after page of Toit cds, I saw the only cd that's been plaguing me for years: the Largo/Clementi Trio cd of Piano Trios by Shostakovich (No.1! ), Milhaud, Tailfairre (sic? ), and Roslavets. It's currently going for way more than I'm willing to pay, but it's a great little cd of 20th Century PTs. Also, there was a new recording of the Clarinet Concerto, previously unavailable. I'm curious about this one. The only other thing would be to get the one cd that has ALL the typical pieces I pretend I don't want to hear. Which is the best for that, the EMI? And, honestly, I think that wind quartet Sonata above is Milhaud's best non-SQ chamber work. It's on a lot of different cds,... but, anyhow, it is more substantial than most any other Milhaud chamber work, and also has a carefree lyicism without any of that '20s kitsch. It's the best work of Milhaud's First Period (1912-19), along with the 2 SQs (ok ok, that doesn't leave much else, except the Violin Sonata, which is a mere pittance). Which brings me to Milhaud's string Sonatas (one for violin (though it's No.2), two plus for viola, and one for cello). None are essenial, though M's viola works were all created around the same time for a specific performer (I had a disc on Centaur, I believe), a whole cd's worth of stuff, and, it's all pretty agreeable, though, I think viola lovers will like it especially. Just for myself I prefer the Cello Sonata (1958), an especially well crafted, though, of course, typical piece. M's wind chamber music is where things get hairy, though, I'm not all that fond here. It's mostly quirky '20s stuff, and beyond, (I like Poulenc better here), so, that's why I say the early Sonata (1919) is his best. It's just music, without the extras. And, about 20mins. I hope that helps a little. I went through a long bout with Milhaud early on, so, I hope you can trust me here. I've got the scars to prove it! I am sympathetic to Milhaud, but much of his music does seem to blend together amorphously in my memory. His opera Christoph Colomb is another matter, though--a huge affair scored for large forces. When it was first performed, critical opinion was divided on the work, which was seen as an attempt to drag grand opera into the 20th century. It is worth searching out, and is testament to Milhaud's ability to write more than jazzy trifles. Opera`s? Christophe Colombe used to be available, and I have Le Pauvre Matelot (?) - the poor sailor - on an ASV CD. I suppose that we have a quite incomplete view of Milhaud's oeuvre. ( more than 400 opusnumbers). Not all is - as can be expected- of the some quality. But he has -at least- a very distictive voice, a very recognisable style/writing. I tend to agree that some of his early works are fresher, more original, less repetitive. Much, however, is never played or played by orchetras or conductors not really sympathetic to his musical world. The ballet 'lHomme et son désir , Protée, symphonies 1.2.3,4 and 8, the concerto for 2 pianos and 4 percussion, violinconcerto nr2...I find highly enjoyable . Les Choéphores ( recently played in Lille / Casadesus) is very impressive. I can only hope that there will be a symphony cycle by someone who believes in the music as a vital thing. The cpo cycle has, in effect, convinced me that it's the sonic equivalent of mashed potatoes. Then I think we are left with quite a manageable ouevre. His Concertos aren't endless (though, the confusion around the Four Seasons had me going). His Chamber Music output is very large, but when you cut out the fat, and, hmmm, excuse me, but he waaas fat!, when you cut it down to the wire, I think we could come up with a good consensus. But yea, when you simply seperate all that Vocal output from the rest, that does a lot to clear things up. btw- Things get pretty easy in the last decade of M's composing, or, starting around the '60s. This is when he was writing all these Music for... pieces (like Music for Prague), the Globetrotter bit, more Vocal stuff, and the odd Wind Quintet and Piano Trio. 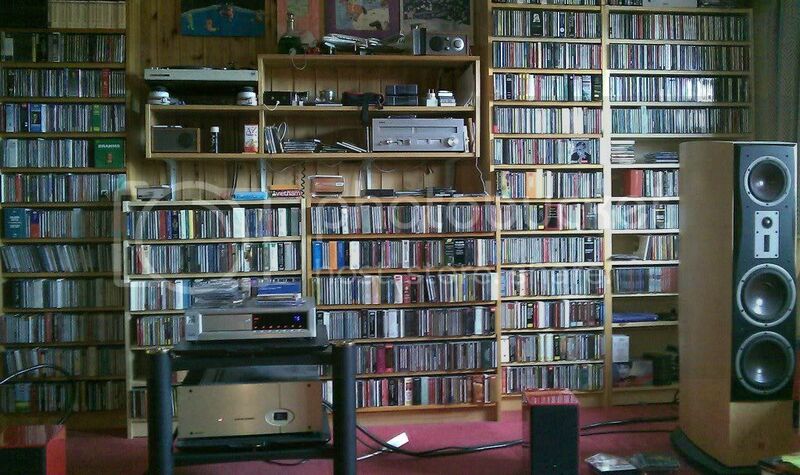 Hardly any of this music is recorded, and, it probably doesn't matter. Looking over my list, I see no screaming Masterpieces, or even, anything really interesting (though, haha, I am looking for that PT). So, perhaps, M's work peaks around the early '50s, with the last SQs and Symphonies, and other larger works? Oy, all of a sudden I'm thinking Villa-Lobos. Is he next on the prune-o-meter? I can tell Milhaud is going to be like Martinu was for me: pleasant on first hearing, but needs more time to sink in. I have heard next to nothing by Milhaud. I'm about to finish up listening to his symphonies, but I know I'm going to have to spend more time with the music. It is very attractive music. The polytonal lines do sometimes, not all the time, seem directionless, but the way he used them is very upfront and accessible. He made music clash against each other and sometimes this, in conjunction with a strong rhythm, can sound quite good. Milhaud's symphonies aren't without their moments of tenderness either. The slow movement to Symphony No. 6 is so gorgeous. Anyway, I can understand why many wouldn't like his music, but at the same time, it makes me wonder how much time and effort the listener has put into understanding the music? I've liked what I have heard so far. La création du monde is an enjoyable rather than admirable work - and not because it has anything much to do with jazz. It's the earlier works that seem to have more going for them, whereas some of the later more popular things like Scaramouche seem pretty tiresome, at least to me. (The beginning of the last movement, which is the bit that everybody remembers, is lifted from the beginning of Ernesto Nazareth's Brejeiro). The actual amount that he wrote is not a criticism per se, but the impression that he's a note-spinner tells against him and, with respect, I don't think the same accusation can be made against, say, Villa-Lobos or Liszt. The early chamber symphonies (especially nos 2 + 3) have always retained a charm, but then perhaps I'm easily seduced by the perversely polytonal. And the others can easily be accessed if anyone's interested. I finally got this disc with Piano Trios (Largo; Clementi Trio) by DSCH (No.1), Roslavets, Taillferre, and Milhaud. I was quite surprised by Milhaud's PT (1968). One may not know what to expect from the vintage, but in this case, M has put his whole lifetime's knowledge into this piece. As far as I can tell, it's serialist,... rather, it sounds influenced by Schoenberg, which, for M, is a good thing. The PT starts off semi-mysteriously, and continues as if it were a more genial cousin of Schoenberg's String Trio. This may be the most "post 1950s" work I've heard from Milhaud. The word "substance" seems to be operative here; there really is a lot of good stuff in its four mvmts. Of course, it's not mind blowingly freaky, or anything, but, as far as Modern Piano Trios go, hey, I don't know too many winners. So, if anyone is looking for a perfect disc of PTs, this Largo disc is for you.